This page provides you with all the necessary information to make an informed choice about plumbers insurance. Furthermore, we can connect you with an experienced insurance broker who will find the best rate across numerous insurers. What insurance protection do you need as a plumber? As a plumber you typically specialize in installing and maintaining water systems related to sewage, drainage and drinkable water (including pipes, drains, fittings, fixtures, valves etc). Insurance that covers costs associated with physical and financial damage resulting from a breakdown of equipment. It includes the cost to repair or replace damaged equipment, lost business income and costs for temporary replacement equipment, the lost value of spoiled products or materials caused by a covered breakdown, business recovery expense. Sometimes Should you have any equipment that you, as a plumber, are really dependent upon, such as special stationary drilling machine, you might consider it. Insurance that covers various types of commercial property from pre-determined risks (also called perils) such as theft, natural disasters, fire. Rarely Typically no. You do not need it unless you own a building and use it to operate your plumbing business. Must-have elements of plumbers insurance: As a plumber you often do not need all the insurance types, but there are a few which are must for you: commercial general insurance (also called professional liability) and commercial property insurance (to protect your tools). If you have a vehicle to drive out to your customers, add a commercial car insurance. 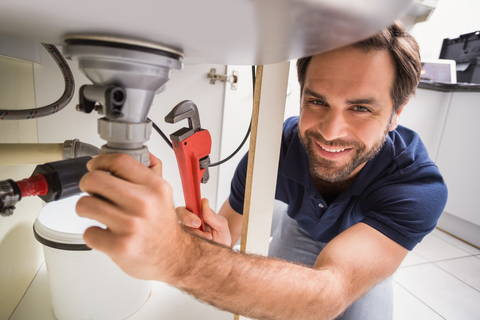 Costs for plumbers insurance: These costs can vary greatly and thus working with an insurance professional to get insurance that is right for you is very important. As an example, commercial general insurance can vary from $500/year to $10,000 depending on type of your business. In similar situations with commercial car insurance – depending on location, your driving record, use of the vehicle etc., the insurance can start at as low $800/year and go up.